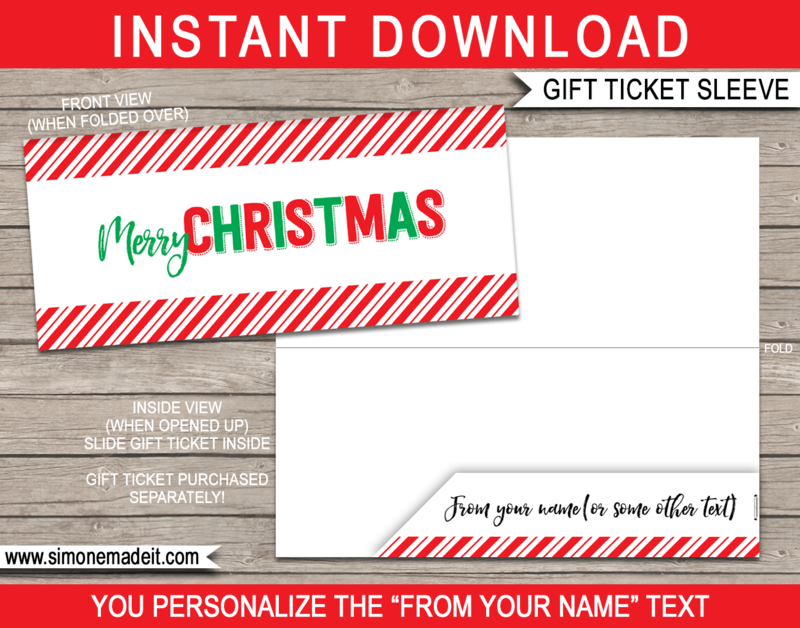 Complete your Christmas gift with this printable Christmas Gift Ticket Sleeve template. This sleeve is designed to hold my red & green Christmas Gift Tickets (see thumbnails), but can also hold money or other tickets. Download your Christmas Gift Ticket Sleeve template immediately after your payment has been processed. Cut out your Christmas Gift Ticket Sleeve on the solid outline, then fold on the dashed lines to create a sleeve to hold your gift ticket, money or other tickets.